Michael Nesmith's Legacy - as Seen by Some. 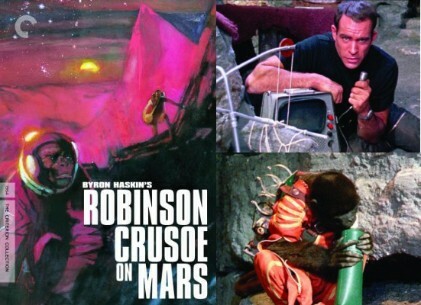 Although it is a thoughtful and surprisingly nonexploitative movie, the title Robinson Crusoe on Mars might conjure up unholy echoes of cross-pollinated genre movies such as Jesse James Meets Frankenstein's Daughter or Santa Claus Conquers the Martians. Well, don't worry. This 1964 space epic is in fact an adaptation of the classic Daniel Defoe novel, and it plays fair by logic and science. After his spaceship crash-lands on Mars, astronaut Paul Mantee must figure out how to survive on the hostile planet (shot mostly in Death Valley), aided only by a monkey from his ship. Director Byron (The War of the Worlds) Haskin's sober approach brings a refreshing emphasis to issues of survival--how many space travel movies have you seen where the traveler tests the air of a distant planet and discovers that, by George, he can breathe just fine? Not this one. Mantee's desperate methods of tracking his air flow and experimenting with methods of breathing are painstakingly explored, and seem like exactly the kind of problems a real planetary voyager would encounter. The second half of the picture cleverly blends Defoe's plot with sci-fi conventions, and the movie never does "dumb down." 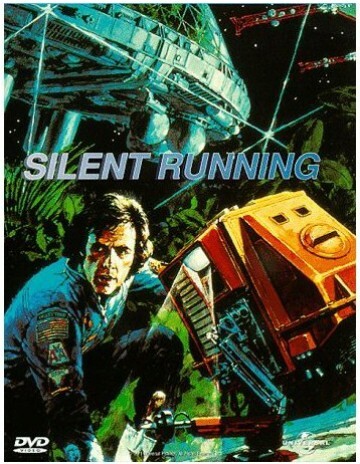 Upon its release in 1975, the film was an astounding flop. But a few devotees persuaded a New York theater to show it at midnight, and thus was born one of the ultimate cult films of all time. The songs are addictive (just try getting "The Time Warp" or "Toucha Toucha Touch Me" out of your head), the raunchiness amusing, and the plot line utterly ridiculous--in other words, this film is simply tremendous good fun. The downfall, however, is that much of the amusement is found in the audience participation that is obviously missing from a video version (viewers in theaters shout lines at the screen and use props--such as holding up newspapers and shooting water guns during the storm, and throwing rice during a wedding scene). Watched alone as a straight movie, Rocky Horror loses a tremendous amount of its charm. Yet, for those who wish to perfect their lip-synching techniques for movie theater performances or for those who want to gather a crowd around the TV at home for some good, old-fashioned, rowdy fun, this film can't be beat. --Jenny Brown If a musical sci-fi satire about an alien transvestite named Frank-n-Furter, who is building the perfect man while playing sexual games with his virginal visitors, sounds like an intriguing premise for a movie, then you're in for a treat. 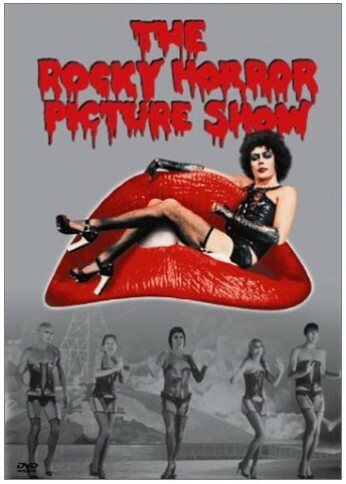 Not only is The Rocky Horror Picture all this and more, but it stars the surprising cast of Susan Sarandon and Barry Bostwick (as the demure Janet and uptight Brad, who get lost in a storm and find themselves stranded at Frank-n-Furter's mansion), Meat Loaf (as the rebel Eddie), Charles Gray (as our criminologist and narrator), and, of course, the inimitable Tim Curry as our "sweet transvestite from Transsexual, Transylvania." Australia released, PAL/Region 0 DVD: it WILL NOT play on standard US DVD player. 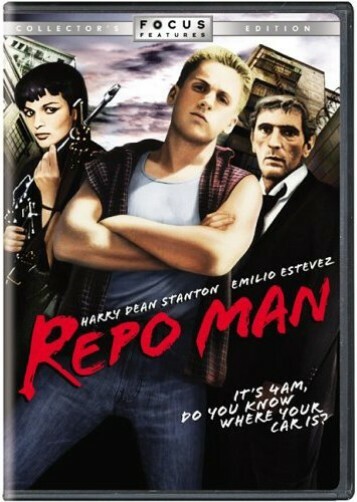 You need multi-region PAL/NTSC DVD player to view it in USA/Canada: LANGUAGES: English ( Dolby Digital 2.0 ), SPECIAL FEATURES: Interactive Menu, Scene Access, SYNOPSIS: Shame, the ape man of the jungle, is aghast when his woman, June, is kidnapped by a gang of giant penises. They take her to their queen, Bazunga, a bald woman with fourteen breasts. After tangling with a gang of great white hunters, a marauding lion and the Molar Men, Shame sets off to rescue her with only his faithful friend Flicka at his side. He heads for that darkest of areas ..... Bush Country! A recent addition to achieve "Cult-Hood" but most definitely worthy, just try to keep up with the storyline, it is consistent, but very hard to focus on the line, an intriguing movie, and an intriguing concept to put to film. Southland Tales is an ensemble piece set in the futuristic landscape of Los Angeles as it stands on the brink of social, economic and environmental disaster. Boxer Santaros is an action star who's stricken with amnesia. His life intertwines with Krysta Now, an adult film star developing her own reality television project, and David Clark, a Hermosa Beach police officer who holds the key to a vast conspiracy. "Well, filmmakers should aim high, they say. And Richard Kelly shot the moon on his highly-anticipated follow-up to cult sensation Donnie Darko, which expands the apocalyptic mood of that movie and blows it up tenfold. Set during the election season of 2008, Southland Tales proposes a series of apparently linked events: the reappearance of a vanished movie star (Dwayne "The Rock" Johnson), now an amnesiac; the bizarre doubling of a policeman (Seann William Scott in two roles); the development of an energy source from ocean waves; and the presence of an Iraq War veteran (Justin Timberlake) who seems to be watching everything, and narrating some of it. 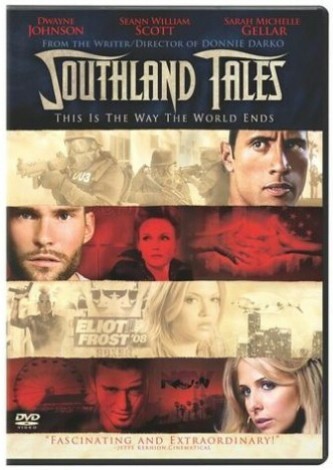 Not that the narration helps; even with voice-over (reportedly added after the film's disastrous debut at the 2006 Cannes Film Festival), Southland Tales doesn't come close to making sense, let alone at the minimum level of dangling a carrot to lead the audience along (even Mulholland Drive had a semblance of murder mystery to be solved, or not). The cast is loaded with Saturday Night Live cut-ups, but only Jon Lovitz connects, and in other roles people like Sarah Michelle Gellar, Christopher Lambert, Bai Ling, and John Larroquette are utterly mystifying, by no fault of their own. In some of the musical sequences Kelly gets in stride, but it's easy to create drama in a three-minute music video, and harder to do over two and a half hours. Some top critics rushed to champion the movie, as though flying in the face of philistinism, so feel free to try out this incoherent pastiche for yourself. --Robert Horton "
Charlton Heston seemed fond of starring in apocalyptic science-fiction films in the late 1960s and early '70s. There was Planet of the Apes, of course, and The Omega Man. 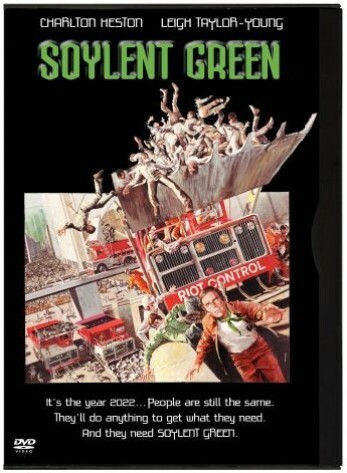 But there was also 1973's Soylent Green, a strange detective film (based on Harry Harrison's Make Room! Make Room!) set in 2022 and starring Heston as a Manhattan cop trying to solve a murder in the overpopulated, overheated city. His roommate (a necessity in the overcrowded metropolis), played by Edward G. Robinson, tries telling him about a better time on Earth before there were no more resources or room left; but Heston doesn't care. Directed by Richard Fleischer (The Vikings), the film has a curious but largely successful mix of mystery and bleak futuristic vision, somewhat like Blade Runner but without the extraordinary art direction. This was Robinson's last film and he's easily the best thing about it; his final scene seems terribly appropriate in retrospect. Joseph Cotten makes an appearance as the man whose murder results in the revelation of a shocking secret. --Tom Keogh The is the year 2022. Overcrowding, pollution, and resource depletion have reduced society's leaders to finding food for the teeming masses. The answer is Soylent Green -- an artificial nourishment whose actual ingredients are not known by the public. Thorn is the tough homicide detective who stumbles onto the secret so terrifying no one would dare believe him. 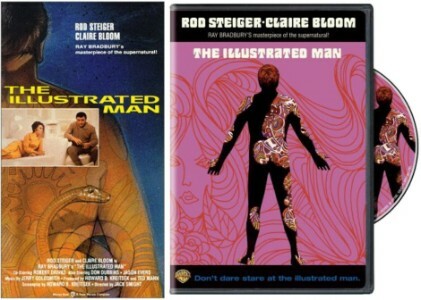 Ray Bradbury's celebrated fiction has been notoriously resistant to screen adaptation, but that hasn't stopped the flawed film version of The Illustrated Man from gaining a small but devoted following. First published in 1951, Bradbury's classic book consisted of 18 stories framed by the tale of a man whose entire body is a living canvas of exotic tattoos, or "skin illustrations," each inviting the reader/viewer into Bradbury's ominous realm of science fiction, fantasy, and horror. 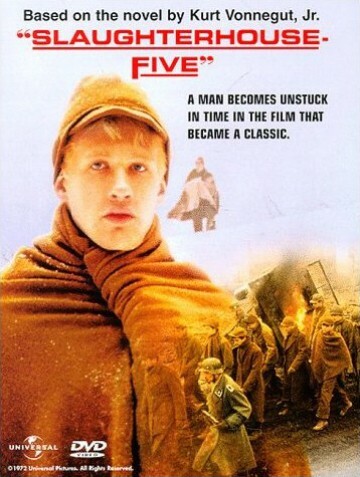 In the film, this framing story takes place in Depression-era America, where a young drifter named Willie (well played by Robert Drivas) encounters Carl (Rod Steiger), the gruffly eccentric Illustrated Man. Gazing upon Carl's mesmerizing tattoos, Willie is transported into three of the 18 stories in Bradbury's collection. A pioneering exercise in virtual reality, "The Veldt" features a high-tech playroom (a precursor to Star Trek: The Next Generation's holodeck) where two children select an African veldt as their favorite virtual playground, ultimately trapping their parents (played by real-life couple Steiger and then-wife Claire Bloom) in a place of deadly danger. "The Long Rains" finds a quartet of astronauts (including Steiger and Drivas) stranded on Venus, where an incessant downpour preys on their sanity. "The Last Night of the World" takes place on the eve of a nuclear holocaust, as a desperate couple (again played by Steiger and Bloom) agonizes over the decision to euthanize their children before the end of the world.